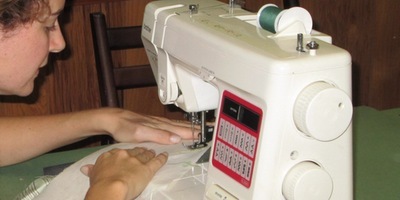 Help your young designer develop sewing skills! Adults and children (ages 8 and up) will work together to learn basic skills and complete a first project. Topics include sewing machine operation, threading, troubleshooting, tools and two basic stitches (straight stitch and zig zag). Students will design and sew either a purse or pillow from The Scrap Exchange’s awesome collection of reclaimed fabrics. Students are welcome to bring a (working) sewing machine from home. Otherwise, all machines and tools will be provided. Due to the length of the class, we encourage you to bring a snack for your child.